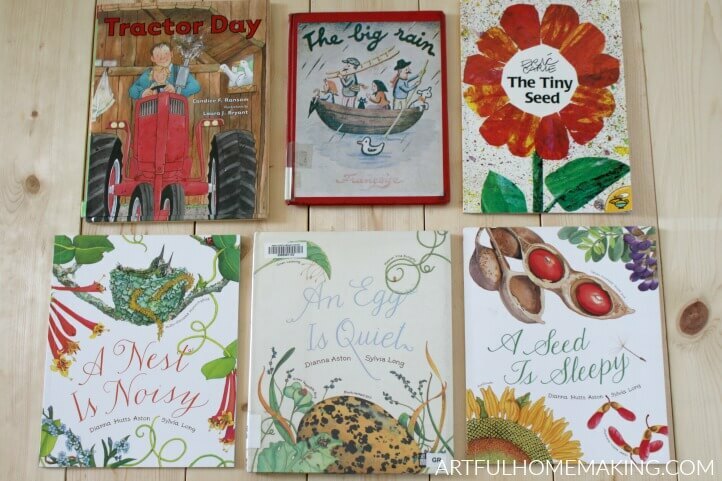 Spring picture books are some of my favorite books to read aloud! I love all the bright and cheerful spring colors. In addition to the cheerful artwork, I love all the references to animals, gardening, and flowers. 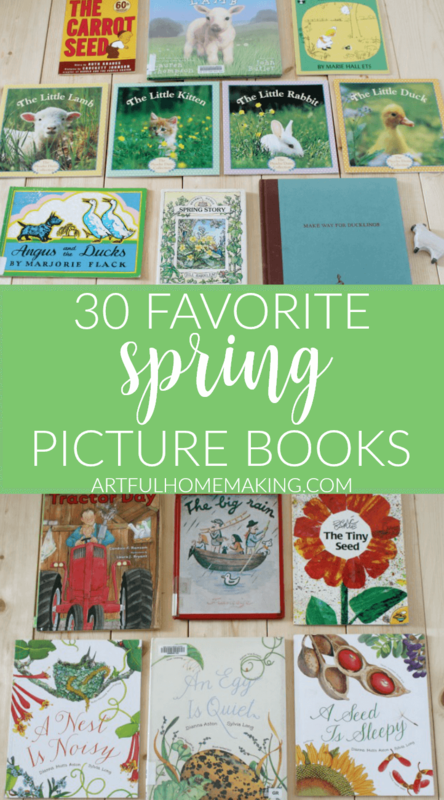 There’s just so much to love about spring picture books! Here’s a list of our favorites. Some of these are for very young children, and some of them are suitable for older elementary kids. In spring, we often have windy days and we often notice the clouds. 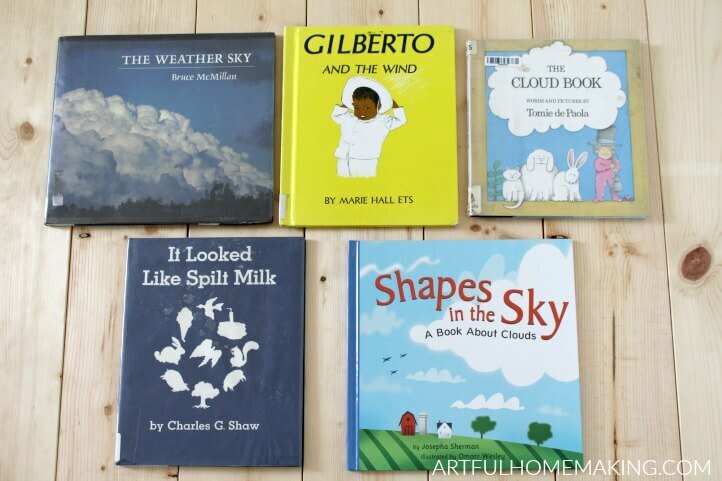 It seems like the perfect time to pull out the books about wind and clouds! 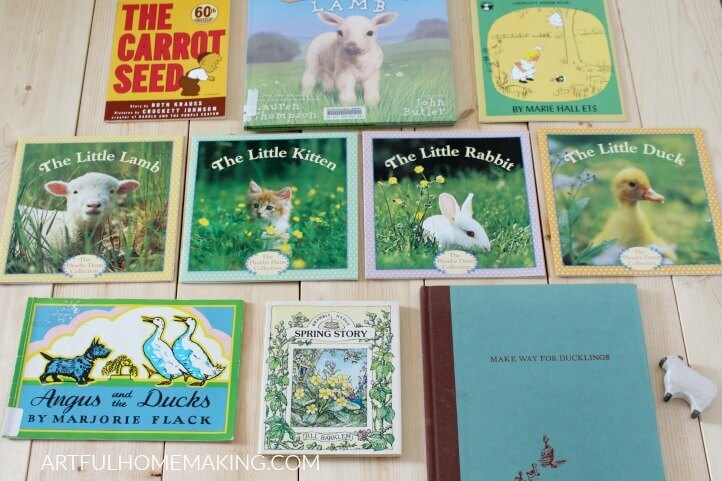 In addition to the picture books mentioned above, spring is also the perfect time to read the Beatrix Potter Books (we have this collection that includes the complete and unabridged stories all in one volume). The Little Lamb and The Little Duck were my favorite books from childhood!! I must have read Tractor day to my oldest son a thousand times. So many great books on here. PInned. Now I just want to sit down with this whole pile of books and read them! They look fabulous! 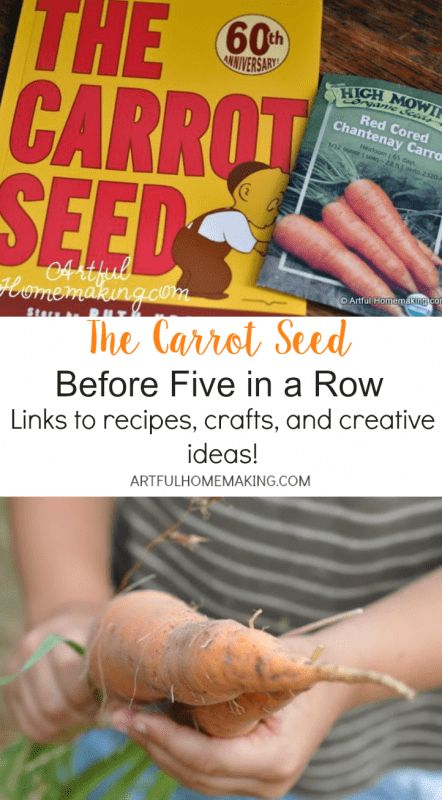 Great to have you link up at Booknificent Thursday on Mommynificent.com this week! That sounds like a wonderful idea! Thanks so much for stopping by, Tina! Pinning and sharing this post, Joy! It’s so nice to discover new picture books for the little ones in our lives. I particularly loved Make Way For Ducklings, but I had forgotten about Angus and the Ducks! There’s lots of new to me books in this list too. 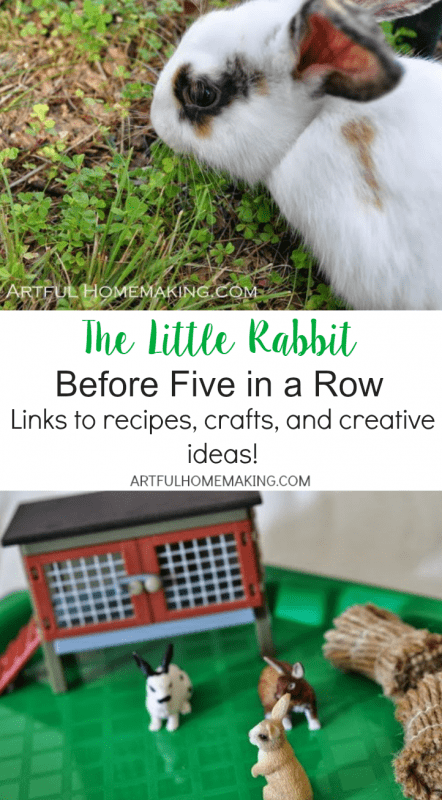 Thank you for sharing, and for being apart of the Hearth and Soul Link party.